Can’t remember where or when I first heard that quote, but as I was cleaning my office the other day, I stumbled upon a sticky note that I’d written it on. And it hit me hard, maybe even harder than the first time I heard it. Because in the weeks leading up to re-discovering that sticky note, I’d been reading an old devotional called “Abiding in Christ,” by Andrew Murray, originally published in 1895, but more recently modernized in a 2003 publication by Bethany House Publishers. The entire focus of that devotional (which is the most excellent devotional I’ve ever read), is the concept of abiding in Christ, which is deeply explored in the parable of the vine that Jesus tells in John 15, and which is, if we’re honest, the central component of the entire Christian life after conversion. Wow. In the past few years of my life, that has become clearer than ever through my personal growth in Christ. The only times I’ve felt peace is when I’ve completely surrendered my life to him, and sought to abide in him and to, in faith, live out the Christian life. This means daily dedication to prayer and restful worship, prioritizing loving Christ over all else, and reading the Scriptures daily. It means giving him my everything in return for his everything. And it looks like actually responding to the commands in Scripture, and re-organizing my life according to his word. This begs the question: In what ways have we not totally surrendered to Christ? In what ways have we refused to abide in Christ and trust that he will bring about the completion of the good work he began in us? It’s been a great comfort to me, as I’ve suffered through anxiety and significant trials these past two years, to remind myself that the Bible promises that all who are saved have been called by Christ. That we’ve literally been CHOSEN by Jesus himself, and he called us to himself, then pressed us into himself and changed our lives, because he wanted to. We are his because he made us his. And he promises to keep whoever is his until the end, and to perfect us. In return, all we are called to do is surrender everything we have to him, and live by faith in him. This is the test Paul is talking about in 2 Corinthians: whether we abide in Christ through faith. The proof is in our fruit, which is grown through faith alone by the transforming work of the Holy Spirit inside us (which is the sense of God’s presence that we feel when we worship). Are we bearing the fruit of the spirit? Love, joy, peace, patience, kindness, goodness, faithfulness, gentleness, self-control? If we are lacking in any of those areas, we are lacking in faith and refusing to fully abide in Christ and surrender to him. Let’s truly examine ourselves right now, and make certain that we’ve surrendered our lives. Because without faith, we are nothing. Without Christ, we have no life. We call ourselves Christians. We’d better act like it. Our lives have nothing to do with how gifted we are at building a church body, or succeeding in our ambitions, or becoming successful in business/art/writing/etc. Our lives are about whether or not we live a holy, surrendered life to Christ. Are we burning for him? Or for our own pride? Are we living from godliness instead of from giftedness? These, I think, are sobering words for everyone. Let’s not be a statistic. Surrender to Christ (I’m talking to myself, here). Abide in him and experience his rest. Enter into the abundant life he has for you today. And continue in it until you die and pass into eternity in his arms. Does that not sound like paradise? Let me know your thoughts in the comments below. Blessings, and stay safe and healthy this Christmas! The Psalm Series launch (READ CHAPTER 1 HERE FREE)! 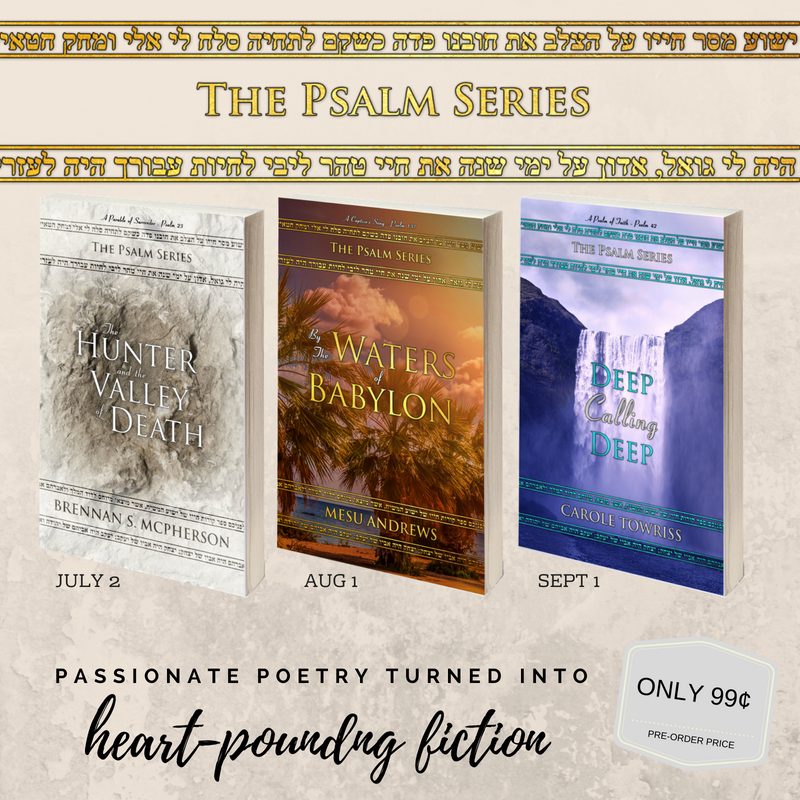 I am SO excited to announce that, along with two other talented authors of biblical fiction, I’m launching a new series of short biblical fiction novels based on the psalms, called The Psalm Series. 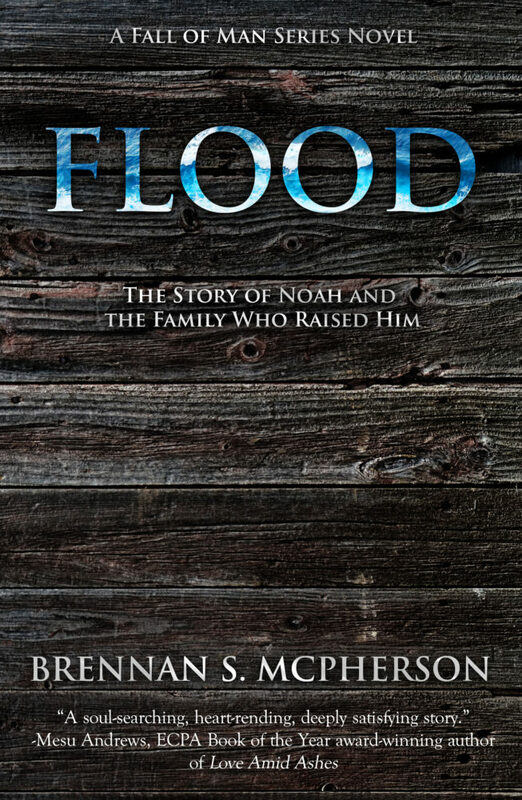 To see more about the books, and to pre-order them all, go to psalmseries.com. Each author picked one psalm and wrote their story around that psalm. Each book also comes with an in-depth Bible study of the psalm in question, along with tips on how to engage deeper with Scripture. In July, we will also be offering a free devotional based on the psalms, to help you deepen your Scripture engagement and prayer life. AND HERE IS THE FIRST CHAPTER from the book (releasing July–up for pre-order now), titled The Hunter and the Valley of Death: A Parable of Surrender – Psalm 23. If you worship truth, you’re a heathen. If you worship anything besides God, you’re destined for hell. In the West, we’ve become obsessed with verifiable fact. But reliance on verifiable fact is diametrically opposed to faith in God, whose appearance as a human is a ludicrous impossibility but for the simple exercising of faith. Jesus said that if we’re nice only to those who are nice to us, our niceness is worthless. In the same way, when we believe only in what may be proven, our belief is nothing. Children believe implicitly. They do not find faith a hard concept to grasp. Only after being indoctrinated with Western scientific thought does faith become difficult. We take that to mean children are naïve and easily fooled. But here we must caution ourselves. Because across the board, four year old’s have an easier time following Christ than thirty-year-old science majors. Can’t you see? Isn’t it obvious? I’m not saying we need to reject truth or verifiable fact. Accepting those is necessary and easy. The difficult part is moving past truth and verifiable fact to actual faith in an intangible, infinite God who knows things we can never wrap our minds around, and uses them to order a universe that mostly lies far beyond the cold grip of science. If you don’t prioritize faith over knowledge, the first calamity will pummel your faith. When pressures rise, and pain increases, reliance on intellect will be the sand you built your house on. This is why I write fantasy. To remind myself that the mysteries of God are greater than the little I actually understand of him, and that I must have faith in God to follow and honor him. This is why my writing fantasy is an elaborate prayer and a form of worship. Because it is a tool I use to set my heart on the mysteries of Christ. Western adults are so terrified that fantasy will confuse children. But anyone who’s ever played make-believe with a four year old child knows that this is an absolutely idiotic fear. Children know that make-believe is not real, and that is precisely why they enjoy it. Like irony, to know that something is not true and yet to act as though it is provides the purest of joys. Until Western dogma strangles the joy out of us. And while children laugh and giggle their way into the arms of Jesus, we Pharisees stand on the street corners with rulers in our eyes, seeking the next blasphemer in need of a theological whipping. Do you ever wonder why the Western church is dead and dying? Do you ever wonder why bars are more popular than churches? Do you ever wonder why morality is crumbling in America? It is because we’ve traded God for comfortable facts, and worshipped intellect over our Creator. We’ve become lukewarm Pharisees incapable of setting our hearts on the mysteries of Christ because we’ve convinced ourselves that the greatest good in the universe is the greatest evil. Lord, let me live a quiet life. Let me wake to simplicity. Let me smile at the sunrise. Let me enjoy simple pleasures. Let me eat with thankfulness. Let me drink and be satisfied. Lord, let me be purified through your Holy fire. Let me love you more than life. Let me walk in holiness. Let me live free from oppressive thoughts. Let me appear winsome and gracious. Let me find community and be content. Then I will be the man I hope to be. Because you will have made me who I never could have been. What Does the Bible Mean When it Says Jesus is the Word? The phrase, “Jesus is the Word,” is a powerful symbol that many books could be (and have been) written to explore. But I want to focus on what it means to us personally. Of course, it’s important to consider both Genesis 1 and John 1, which explain that the entire world was made through Jesus, and that God made us capable of sin so that we could be reconciled to God through Jesus. 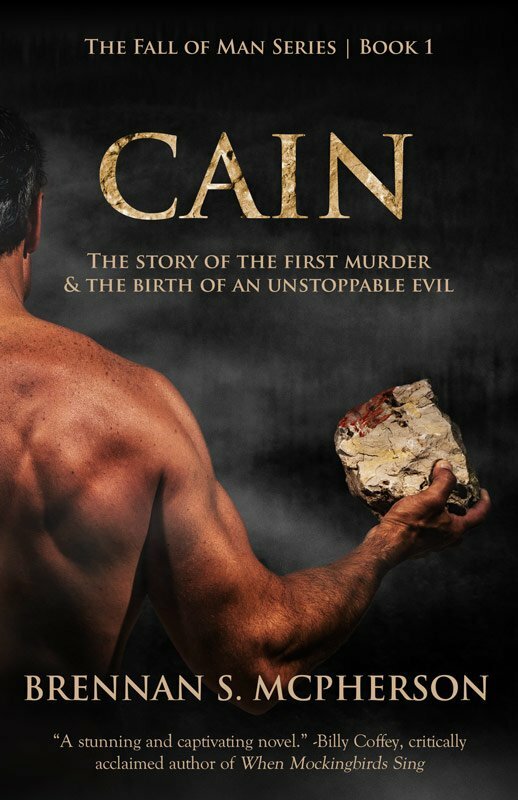 God was not ignorant of the evil we’d commit. He planned for everything before it happened. Is it important to read the Bible? I used to be skeptical of the importance of reading the Bible. It struck me as strange that a non-religious activity could so impact our ability to worship—especially when I considered how many millions around the world simply don’t have access to the Bible, and aren’t literate. Consequently, that skepticism trickled down into my daily lifestyle. A few years back, I noticed the skepticism was at the center of my resistance toward a daily regimen of spiritual renewal, and had thereby become destructive toward my spiritual, emotional, and physical wellbeing.